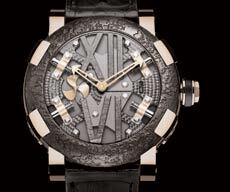 Galvanised by Titanic DNA shock wave, Romain Jerome has decided to enrich its collection with an explosive timepiece named Steampunk. Expressed through polished steel paws, pistons and Roman numerals, each of the three distinct models is a perfect integration of the DNA collection. The Steampunk's 50 mm diameter dial is held in place by four screwed-down pistons symbolising RJ's signature 'X' motif. The Roman XII and VI numerals are left "raw" and coloured in accordance with the model. 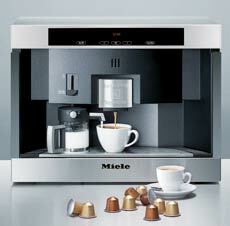 The world's first ever automated built-in coffee machine manufacturer, Miele, has launched the CVA 3660 Nespresso Capsule System Coffee Machine. Containing 20 capsules of up to five different flavours, a sensor touch control system with self-explanatory user navigation makes usage simple and straightforward. Its attractive and sleek design will look good. Innovatively designed, the Samsung NX10 is the perfect size and weight to carry around with you. The precise AF function enables you to capture moments instantly. Equipped with an APS-C size CMOS sensor, the camera reproduces rich, natural colours, while the image sensor minimises noise to improve the picture quality and provides HD quality images. The high ISO enables you to use it even in poor lighting. Nirvana Biosys, an Indian company of international standards, has introduced the first ever lychee wine under its flagship brand Luca. Luca Lychee is smooth on the palette and has a classic aroma and taste. Apart from the sweet and tangy taste of lychee, this wine is high on its health benefits. It has a high content of Vitamin C, and is low on saturated fats, cholesterol and sodium. It pairs beautifully with Asian cuisine and white meats. Available in two sizes-750 ml and 375 ml-it can be an interesting addition to your bar. 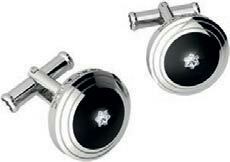 To add a touch of class to your outfit -be it for office or otherwise- this classic pair of cufflinks is just the thing. Created in true Montblanc style, they're sophisticated, subtle and understated. Try them on. This is just the thing for all shot lovers. The first in the industry to revolutionise cognac drinking, the RÃ‰MY iceBOXX creates a delicious new ritual by serving cognac in a shot glass at precisely -18ï¿½C. Amplifying the smoothness of RÃ©my Martin's champagne cognac, this offering is sure to garner the hic hic hurrays. 150 ml edt by Nike Despite a host of competing brands cluttering up the stores, Nike tends to stand out amidst the multitude. Specially adapted to suit one's individual personality, the brand brings to India a new range of fragrances. Each of the four offerings-Blue Wave, Green Storm, Cool Wind and On Fire-defines a distinct element of masculinity. Inspired by nature, the fragrances are alluring and sensuous all at once. 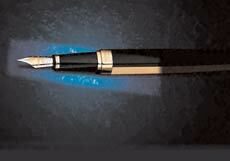 Luxor Writing Instruments has brought more offerings into the world of writing instruments. This new range of pens from Waterman marries innovation with an excellent design to present an interesting amalgam of luxury and style. Blending prestigious materials and colours with a distinctive, vibrant personal style, Exception joins the ranks of elegant and inventive pens. Available in four distinct models (Marks of Time, Precious Metals, Night & Day and Slim), this accessory is fascinating down to its smallest details. Bringing in the spirit of Polo and a style that is casual and comfortable yet put together, G Plus introduces U.S. Polo Associations latest travel collection. this new range of footwear is a true representation of toughness and masculinity merged with style. Representing a classic rugged American style, it blends comfort and casual flair to produce beautifully crafted shoes. Plustek, a leading brand in image solutions, announces the launch of Plustek OpticSlim 2600 flat-bed scanner. Suitable for both homes as well as small business users, it offers compact design and high performance. 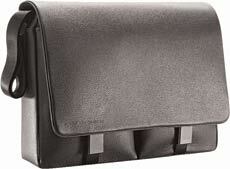 The gadget is capable of scanning A4-sized documents at an optical resolution of 1200 dpi and is powercord free. It comes with five, one-touch action buttons including Copy, OCR, E-Mail, Custom and PDF and is extremely user-friendly and easy to operate. A must-have for business travellers. Sony's new ultra chic and super stylish range of E-Series Walkman is available in a range of spunky colours. This innovative product is designed for the young at heart, and combines fun, form and function. It delivers a rich audio performance with clarity and precision and has an easy user interface. Offering up to 50 hours of audio and 10 hours of video playback, a newly integrated Digital Sound Enhancement Engine, time on a single charge, a 2.0-inch QVGA LCD screen and a complementing karaoke mode, this gadget is both handy and sophisticated. Touting instant recognition as a must-have for men this season, these sunglasses from Dsquared merge the brand's sensibility with the aviator design to create a product for the bold and irreverent. Available in black, Havana, Bordeaux and blue, the evocative 'D' at the centre of the frame removes any doubt as to the origin of the glasses. They're bold in making a statement, yet follow a classic design. Pair them with a smart suit to stand out in the sun. This spring, look suave and sleek with Porsche's new Cervo Collection of products. Cervo is the Italian word for deer and stands for extreme softness and elasticity. In keeping with the same, this shoulder bag is durable, stable and crafted from calf leather with unique textures and natural grains. The metal bits are made of brass in individual design without visible screws. Harry Winston introduces Opus X. This new timepiece captures the shape and dimensionality of time through the synchronous rotation of circular motions. Replacing a traditional fixed dial and watch hands, the indicators for hours, minutes and seconds are set on individual satellite wheels that orbit around the central, solar wheel. A transparent backing shows geometric precision, adding light and transparency to the design.